Our coastal region is particularly vulnerable to the impacts of climate change. Many communities, especially those in the floodplain where more than two million people will be living by 2050, could become permanently flooded due to rising sea levels. Critical infrastructure, such as public housing, hospitals, airports, rail yards, power plants, refineries, and other industrial sites would also be at risk. Walling off the entire shoreline is neither financially feasible nor environmentally sound. In areas with high concentrations of people, we will need both natural and engineered solutions to keep communities safe and resilient to flooding. For other places at particularly high risk or with low densities, such as barrier beaches, back bays, and wetlands, a phased approach will be needed to transition away over time. 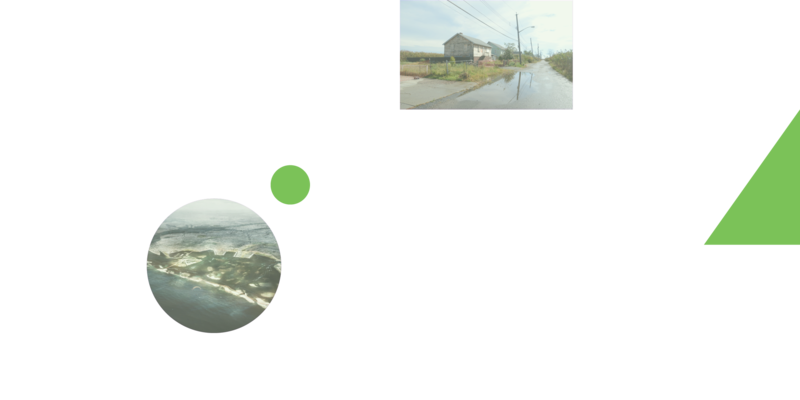 Fortunately, there are innovative ways to adapt coastal areas and dense urban centers while also restoring natural systems that provide multiple benefits. Rising seas could provide an opportunity to better integrate nature into our communities, with small waterfront parks and a new national park in the Meadowlands in New Jersey.